Will Windows 10 be practical and productive? In the past, Microsoft's attempts at delivering a user experience similar to Apple and Google have been fairly touch-and-go. After introducing Cortana for Windows Phone (in line with Apple's Siri and Google Now) as well as the Metro user interface, Microsoft was criticised for being late to the user experience party and not delivering. However, user experience is but one piece of any new operating system, and with Windows 10 slated for a 'mobile-first, cloud-first' world, there is a genuine feeling of promise concerning Microsoft's next desktop OS. 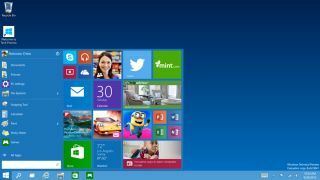 Whereas Windows 8.1 has been merely patched up to survive in today's ultra-fast changing OS landscape, Windows 10 appears to fully embrace the world of mobile and cloud computing. Microsoft resellers should be feeling optimistic about this latest iteration, and be working out how they can weave it into their sales strategy for 2015. Clearly, we can acknowledge the influence of Satya Nadella, Microsoft's CEO, on Windows 10. Before the release of Windows 8.1, Microsoft looked at the market and then decided what needed to be developed. However, this time round, Microsoft has invited the community to influence the eventual release of Windows 10 by deploying a technical beta version of the code – which has seen plenty of downloads and feedback. This is a clear indication from the vendor that it is looking to get back in the game with old adversaries (Linux vendors), as well as new competitors (Amazon, Google, and Apple). With Windows 10 due for release in late 2015, the enterprise community has a unique opportunity to positively influence this ecosystem. But despite inviting its users to help build a better product, a focus around business benefits seems to be amiss. In the age of cloud computing, businesses and their customers are looking for an experience that allows the accessibility of the cloud alongside cast-iron security. Given this, Microsoft has a tall order to fulfil – Google and Apple have both implemented several recent features to be cloud compatible and more user-friendly. While much can be debated about Windows 10's core elements such as security, ease of support, and manageability, Microsoft simply needs to ensure that it delivers a robust platform that can overcome previous shortcomings. This is what resellers will respond to. There is no room for error with this release (an impossible feat for software development). This day and age requires immediate fulfilment and zero tolerance for product delays. While the public may once have more readily accepted earlier operating systems, the onus is now on Microsoft to ensure its platform is flexible, high performing, scalable, and secure if it is to compete and lead the way for computing platforms in the future. Since it is assumed that Microsoft will deliver consumer-grade experiences with next-to-zero failure rates across the platform, Redmond will need to meet and indeed exceed the high bar set by the competition in order to be seen as an innovator and leader in software development. All too often, advances in technology can be a distraction, but for the market in 2015, what will Windows 10 really mean? Is it practical, is it productive, and is it a perfect strategy? Time will tell, but for now, Microsoft at least seems to be making a concerted effort to reach out to its users on how to improve upon Windows 8.1. Perhaps it will be this key strategy that will help Microsoft to avoid falling further behind the other ecosystems in the enterprise space.